It might be a cliché by now to have to say “there’s an app for that,” but it holds true – especially when it comes to sleep-related apps. From standard sleep data trackers and anti-snoring apps to apps designed to help put children to sleep faster, mobile apps are now being used for all manners of sleep-related purposes. The latest app to hit the sleep market, SleepScore, offers a unique take on the sleep tracker and purports itself to be the first app to measure your sleep quality without the need for wearables or sensors. SleepScore works by using your phone’s speakers to emit sound waves outside of the threshold of human hearing. Then, using your phone’s microphone, the app can determine how well you’re sleeping and even what stage of sleep you are currently in by sensing your body’s movements. 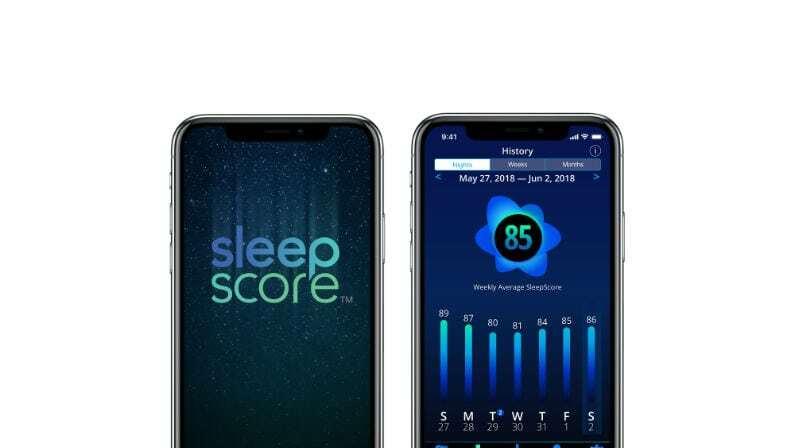 SleepScore’s developers even claim that their app is more accurate than wearable sleep trackers because it can measure every part of your body rather than merely your heart rate or the pressure you are exerting on your mattress. Some users might find the app difficult to use, because your phone must be placed 6 inches above your chest, facing you. Still, the ability to track sleep quality straight from your phone will likely entice many users who want a no-strings-attached (literally) way to track their sleep quality each night. SleepScore is free, but there is (of course) a paid version which offers recommendations on how to improve sleep quality. That version costs $5.99 a month or $29.99 a year between now and July 31 – after that, the yearly price will go up to $59.99 a year. SleepScore is available for iOS and Android phones. Just remember: like any use of technology, too much reliance on these apps can be a bad thing. Earlier this year, psychologists identified a bizarre new type of sleep disorder called orthosomnia which is caused by an overreliance on and obsession with sleep tracker data. Sleep tracker apps are no substitute for regular bed and wake times and healthy behaviors which promote better sleep (hint: turn off your phone at night).